The 2016 Open is officially over, but there is still time to lament how painful 16.5 was. The 2016 Open is officially over but there is still time to lament how painful 16.5 was. 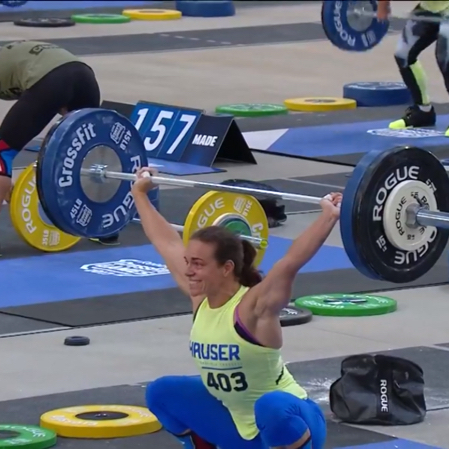 In a year chock-full of firsts, the first repeat movement in Open history was none other than the dreaded bar-facing burpee. Unlike 16.1, the clock could not save you from the 84 burpees prescribed for this year’s Open finale. For many, Dave Castro’s announcement brought flashbacks of pain and suffering from 2014 when the workout first showed up as 14.5. A redeeming quality of the announcement was that many had the chance to measure themselves against their 14.5 performance. Whether you improved or not, we all can breathe a little easier (or not because #FranLung), knowing that 16.5 is in our rear view mirror. With that in mind, my grades for the fifth and final week are overwhelmingly positive. Check them out below. Emma McQuaid: Yet another European woman to show up at the top of the Open Leaderboard this year, Emma McQuaid put the finishing touches on her 2016 Open by finishing eighth worldwide in 16.5, with a time of 8:09. It was her second straight top-10 finish worldwide (fifth, 16.4 - 305 reps), and it moved her into 12th-place overall. Based on her Open performance this year, I would expect her to improve upon her 17th-place finish at last year’s Meridian Regional. The Grundler Brothers: Bill and James Grundler are currently in first and second place overall in the Men’s 45-49 division heading into the Masters Qualifier. In 2015, Bill finished second at the Games in the 45-49 division while James took 20th at the Games in the 40-44. 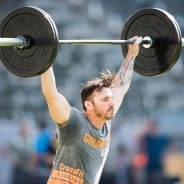 James has aged up into his older brother Bill’s division and the two could make history by being the first siblings to share a CrossFit Games podium. Podium or not, I think it’s safe to say they are carrying the family name pretty well. Gabriela Migala: The teen from CrossFit 72D in Poland ran roughshod through 16.5 with a time of 9:33. Competing in the 16-17 Teenage division means she also did the same Rx’d version of the workout as the rest of the Individual women. 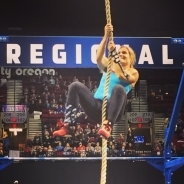 Back in 2014 when this workout first appeared, Migala’s time would have placed her 29th worldwide in the workout, ahead of Katrin Davidsdottir, Margaux Alvarez, Chyna Cho, Valerie Voboril, and nearly a dozen other Games athletes from the previous years. Women’s 40-44 division: In total, this year eight women from this division are guaranteed invites to compete at regionals as Individuals. Helen Harding (Pacific), Jen Hauser (Atlantic), Janet Black (South), Annie Sakamoto (California), Kendall Burnham (West), Jolaine Undershute (West), Karen McCadam (West), and Samantha Stevenson-Archer (West) all earned themselves invites to the next round of the Individual Competition. Helen Harding led the pack with a remarkable fourth-place finish overall in Australia, ahead of 22-year-old reigning second-Fittest Woman on Earth Tia-Clair Toomey. David Hippensteel: I love it when fitness runs in the family. David Hippensteel found CrossFit back in 2012 through his daughter Heather Hippensteel, who was a team competitor for CrossFit Invictus. 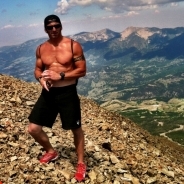 Since then, David has opened an affiliate (Screaming Eagle CrossFit) and qualified for the CrossFit Games in the Masters 55-59 division three years in a row. Now in the 60+ division, he sits in second place overall in the Open. He’s one place ahead of three-time champion and Masters legend Scott Olson. 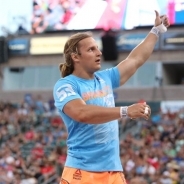 Although he has yet to finish on the podium at the CrossFit Games, a new age division is suiting him well going into the Masters Qualifier. 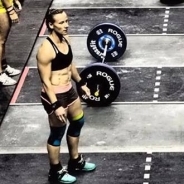 CrossFit Yas: Due to the format of the Open, not much is made of the Team division standings until the athletes get ready to step onto the floor for regionals. However, I will say that CrossFit Yas finishing the Open in second place worldwide is extremely impressive. Their scores show that their athletes have some serious firepower. 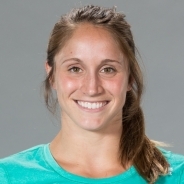 The only team currently ahead of them is Invictus, which will see its score drop considerably once athletes like Maddy Myers, Lauren Fisher, and Rasmus Andersen choose the Individual Competition at regionals and have their scores removed from their team’s Open scores. 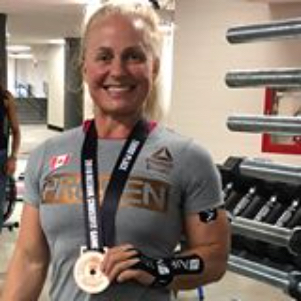 Kristi Eramo: Kristi Eramo finished the Open in 21st place worldwide. More importantly, she finished in first place overall in the Central East Region. Eramo finished with only 19 total points, 22 points ahead of second-place finisher Jennifer Smith. She ended up in 10th place in a jam-packed Central Regional last year where just 30 points separated her from fifth place Lindy Barber. 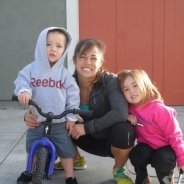 Before Barber’s move to CrossFit Mayhem, Eramo trained with her at Four Barrel CrossFit and was on a team with her during the 2015 CrossFit Team Series (Colt 45’s & 2 females). With Barber gone, Eramo is looking to replace her as the next Individual Games athlete to come from the Louisville, Kentucky, affiliate. Nathan Bramblett: He dropped from fourth place to 21st place in the Mid Atlantic after 16.5. His less-than-stellar performance on 16.5 was a far cry from his excellent performances the previous four weeks. Normally this would be cause for a MUCH lower grade, but a post from Bramblett on Facebook immediately affects his grade for the better. Bramblett had the flu for the majority of the 16.5 workout window, drugged himself out of bed on Monday, and still recorded a 16.5 score that was good enough to keep him in the running for regionals.